This is one of those cases (not unlike Il Castello di Atlante) where a band that was active in the 1970s never put out any records in their day –although they did manage one half of a promotional single in 1978, but that’s all. There is an archival live concert available on CD from around 1983, and a studio album Febo that was started around ten years later when the band was tryng to make a comback following a long period of disbandment, and even that wasn’t released until 2007. 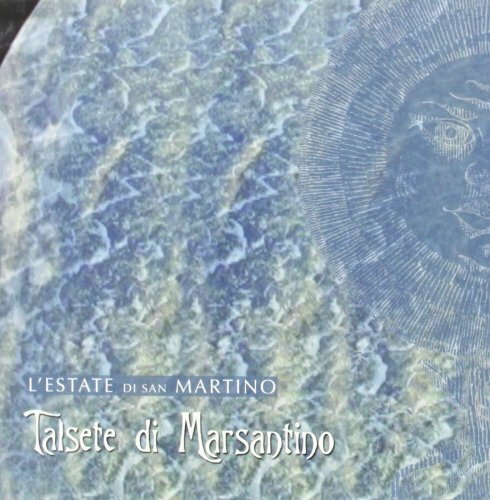 So this band has seen a pretty hard road through the years, but with Talsete di Marsantino, the band returns again with a solid album that should please the discerning tastes of most classic prog listeners. The sound is mostly soft, pastoral and instrumentally based (vocals are provided by guests on several tracks, including none other than Francesco di Giacomo of Banco) reminding somewhat of the instrumental elements of early Genesis (pre-SEBTP), Anthony Phillips, or PFM. The instrumentation includes the standard acoustic and electric guitars, piano, keyboards, bass and drums, plus bass pedals, flute, and occasional tenor and soprano sax, with guests adding occasional nyckelharpa and kawal. Steve Hackett makes a guest appearance on one track, and former PFM singer Bernardo Lanzetti on another. There are two bonus tracks, the first of which is seven-plus minutes of mostly narration. There’s nothing really groundbreaking here, but taken as a pleasant retro-prog listening experience, it sure works nicely, and for that I can offer a hearty recommendation.